The term Canadiana doesn’t appear to have yet filtered into the lexicon of music genres like its southern neighbourly counterpart but if it did then Dennis Ellsworth would be amongst its first inductees. The Prince Edward Island native surfaced in the UK last year with the excellent DUSK DREAMS and played a storming set at the Maverick Festival which was acknowledged by this site as being one of the weekend’s highlights. Dennis is set to build on the appreciation he received with the release of this follow up album which is a more introspective piece of work than its predecessor. 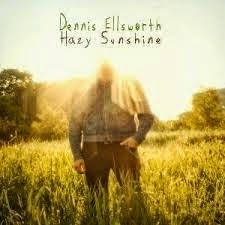 Furthermore HAZY SUNSHINE is a stirring selection of sophisticated songs drawing its influence from a multitude of sources and extolling a variety of moods. Dennis name checks one of his influences in the album’s most striking song title ‘Harry Nilsson’s Heart’ but a key similar vocal style to Elvis Costello is a more pertinent feature to the record in its early stages. This opening segment possesses all the hallmarks of mature country rock as Dennis sandwiches the album’s stand out track ‘Coke Machine Glow’ between the jaunty violin laced opener ‘Things I Want’ and a more standard soft rocker ‘Let It All Out’. This stand out track is one of two co-writes to supplement the solitary song writing of Ellsworth and the swirling guitar piece towards the end ignites this super little number. The aforementioned violin and its viola relative play a significant part on the album’s instrumentation especially on the quieter numbers where an air of sensitivity is added to the sound. ‘If I Find the Truth’ shows Dennis as the master of the single guitar and solo voice until he lets the more classical string arrangements take control. He adopts a more philosophical mood to his writing on the rather dark ‘Rudderless Day’ which is followed by the equally mellow ‘Hazy Sunshine’, a moment when your senses are set free to roam. As the album meanders its way to the exit door this tender style returns with ‘Silver Tears’ and more violin added to the closer ‘Can’t Turn To You’. It is within this final number where Dennis peels back some of the pretence to his song writing with the killer line ‘So I will glue my heart to you’. Elsewhere the writing can be a complex collection of candid and cryptic compositions yet nonetheless appealing and implanting a desire to explore the wares of his musical craft. 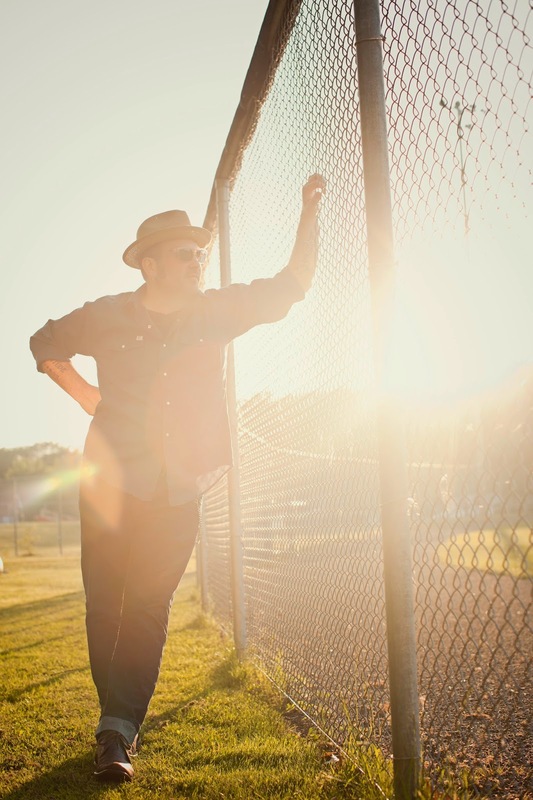 As was in evidence at last year’s Maverick set, Dennis is probably at his peak during the faster tempo numbers where he draws on his influences from such diverse sources as folk, indie, country and punk rock. ‘Paradise’ probably has a greater folk rock tinge to its structure while ‘Happiness’ could quite easily re-appear on a more explicit country release. The remaining track to be mentioned is ‘Everything’s Fine’ where a lovely keyboard intro spices up a classic singer-songwriter offering to rival some of his influences referred to in the press release. HAZY SUNSHINE is a spiralling journey of mood style and tempo but is still a compelling if somewhat complex listening experience. Yet the commitment Dennis Ellsworth shows to his music is unrivalled and will continue to engage followers far and wide from his Atlantic Maritime base. Those in the UK are enjoying this first hand and the release of the new record will entice a few more to understand an artist beginning to blossom.